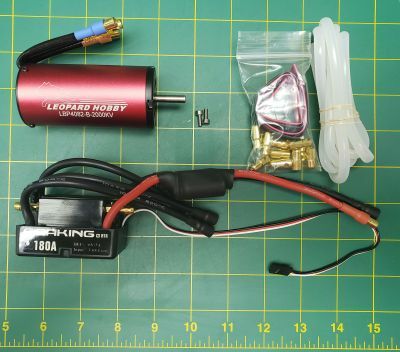 RTI (ready to install) 4082 Leopard Motor and Seaking V3 Esc combo by OSE. This plug and play power system is meant for a boat that requires 2000-2500 watts of power in the 4-6 pound area. We have done all the hard work, soldering and installing the parts for top performance. Seaking 180 Version 3 Esc with added ESC Bank. Leopard 4050 or 4068 Water Jacket. 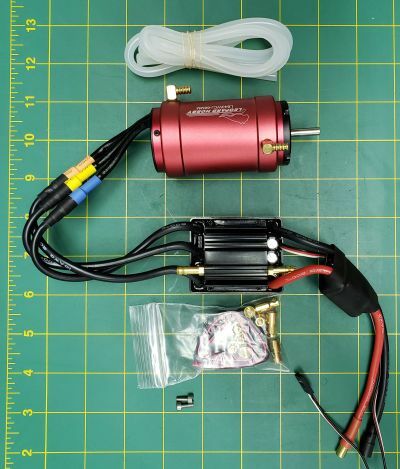 This motor fits well with the ose-82000 motor mount when used with the 4068 water jacket. I have 2 of these systems. Both run flawless. The 1600 version I have in my Spartan. It's faster than stock and runs much cooler. The second is a 1800kv system in a Genesis and it's a rocket.